“A gorgeous novel that finds beauty in the most unlikely of places.” —Susan Wiggs, #1 New York Times bestselling authorSet in 1950s Louisiana, Mandy Mikulencak’s beautifully written and emotionally moving novel evokes both The Help and Dead Man Walking with the story of an unforgettable woman whose quest to provide meals for death row prisoners leads her into the secrets of her own past. 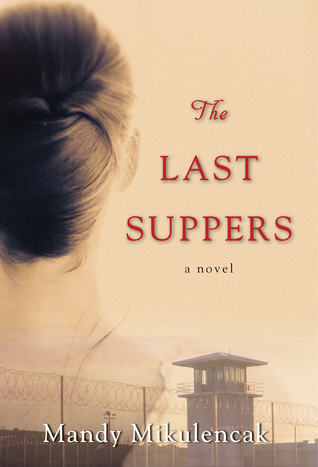 The Last Suppers is a 2017 Mandy Mikulencak Kensington publication. Ginny has a very complicated past which, once it is revealed, will explain her deep devotion to her job, which has wrought complications between her mother, Miriam, and her lover, Roscoe, who just so happens to be the prison warden. Roscoe and Ginny try to keep their relationship a secret, along with Ginny’s offer to cook for the worst of the worst inmates, but the entire balancing act soon begins to topple over when shocking revelations come to light regarding the death of Ginny’s father, many years ago. I don’t know what I was expecting from this book, but this certainly wasn’t it. Wow. I confess I’m feeling a bit stunned by this novel. The story has the potential to reach a broad audience because it is more than just historical fiction. It is also a family drama and a mystery, with a controversial love story, featuring the importance of food -the memories and comfort it can evoke- rounding things out. The story touches on a myriad of topics, such as racial tensions, defying social norms, the death penalty, and compassion for the families of death row inmates, just to name a few. Ginny’s psychological need to provide these meals harkens back to a hideous decision her mother made, and the deep impact it has on Ginny in her adult life, including her relationship with Roscoe. This is a heartbreaking story that juxtapositions the best and worst of humanity, zeroing in on the blurred lines between prisoners and their families, who also suffer the intense pain of losing a loved one and the stigma they live with. While it may seem that Ginny is offering cold-blooded murderers generosity he certainly does not deserve, I believe in her heart, it was just as much about offering a bit of comfort to the inmates’ family, as well as assuaging her own guilt. But, at the heart of the story is the role food plays in our lives, under the best and the very worst of times. It’s not so much about feeding the body as it is about feeding the spirit, and offering solace for the soul. In so many ways this book broke my heart, but it was also inspirational in a way, and shows the flip side the coin, allowing me to view things from an angle I have rarely considered. 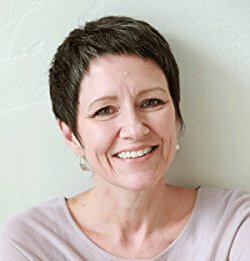 Southern fiction is a favorite of mine, as is historical fiction, so these factors added the right atmosphere for such an original and beautifully written book. As an added bonus, the author added a few of the recipes for the food mentioned in the book, which included some old southern dishes many people have probably never heard of. I make my own Chow Chow, by the way, but the recipe here was much more involved than anything I’ve ever attempted, which I found very interesting. This story will stick with me for a long time to come. I recommend it to historical fiction fans, but I think it's a story that will resonate with anyone who appreciates good storytelling.